Esee Knives (Formerly Rat Cutlery) Model 3 Sheath. 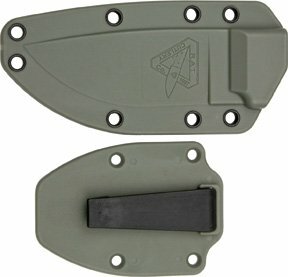 Foliage green molded Zytel construction with boot clip. Bulk packed.